Another tough fixture for the lads. Darlington batted first and scored 98 for 5. Andrew Ralph ended the game with 2 wickets for 11 runs off 3 overs with the other wickets coming from run-outs by Max Percival (2) and William Shaefer. Good bowling also from Jack Platt who conceded just 5 runs from his 2 overs. 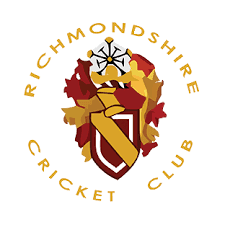 In reply Richmondshire scored 93 but lost 9 wickets meaning Darlington won by 25 runs. Like last week we came up against a good wicket keeper which made scoring difficult. Joseph White (11 runs) and Jack Platt (6) put in a great effort as the last pair scoring 17 with Andrew Ralph and Finlay Clarke both scoring 8. The boys are doing well as they get used to playing with each other and next it's Newton Aycliffe at home on Sunday.